My name is Terry Herrell. 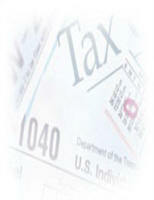 I am an Accredited Tax Advisor, and Accredited Tax Preparer. I am also an Enrolled Agent Certified by the IRS. Over the past 30 plus years I have made it the primary goal of my Tax and Mortgage Lending practice to make sure that my clients feel comfortable about their tax and financial decisions. I believe that to make a good decision you need to be as fully informed as possible. This means you should have good solid information that you can rely on. I make it a policy to provide my clients with as many options as possible to a given set of circumstances along with the positive and negative aspects of each option. It's extremely important to me that my clients feel that they can look to me as a friend and advisor who they can rely on for tax and financial advice or just someone to call and bounce ideas off . Although my office is located in Pinole many of my clients come from the Bay Area, my practice ranges across the United States. Who do you want doing your taxes? A guy who has a computer and a franchise, or someone who has demonstrated their ability, is licenced to practice before the IRS, and can actually help you in the case of an audit? 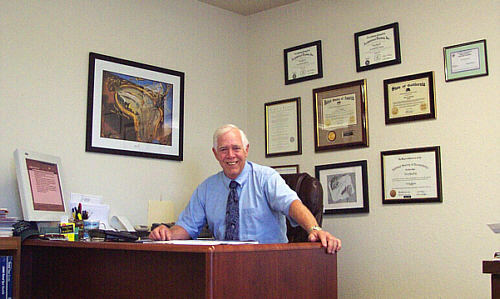 Terry Herrell is the proprietor, and has been in the Tax and Mortage Lending industry for over 30 years. Accredited Financial Services is the result of the desire to help individuals and small businesses succeed. Many tax services cannot represent you before the IRS. An Enrolled Agent Can. Terry is an Enrolled Agent. Enrolled Agents are the only taxpayer representatives who receive their right to practice from the United States government. An Enrolled Agent is an individual who has demonstrated technical competence in the field of taxation before and been licensed by the Internal Revenue Service. An Enrolled Agents, or EA can represent taxpayers before all administrative levels of the Internal Revenue Service. Only Enrolled Agents, Attorneys and CPAs may represent taxpayers before the IRS. The Enrolled Agent profession dates back to 1884 when, after questionable claims had been presented for Civil War losses, Congress acted to regulate persons who represented citizens in their dealings with the U.S. Department Treasury. What are the differences between Enrolled Agents, and other tax professionals? Only Enrolled Agents are required to demonstrate to the Internal Revenue Service their competence in matters of taxation before they may represent a taxpayer before the IRS. Unlike attorneys and CPAs, who may or may not choose to specialize in taxes, all Enrolled Agents specialize in taxation. In addition to the stringent testing and application process, Enrolled Agents are required to each year complete extensive continuing professional education, which is reported to the Internal Revenue Service every three years. Because of the difficulty in becoming an Enrolled Agent and keeping up with the education requirements necessary to maintain their credentials, there are fewer than 35,000 active Enrolled Agents in the United States. Enrolled Agents advise, represent and prepare tax returns for individuals, partnerships, corporations, estates, trusts and any entities with tax reporting requirements. Enrolled Agents prepare millions of tax returns each year. An Enrolled Agents' expertise in the continually changing field of tax law enables them to effectively represent taxpayers audited by the IRS. Enrolled Agents are required to abide by the provisions of U.S. Treasury Department Circular 230. Enrolled Agents found to be in violation of the provisions contained in Circular 230 may be suspended or disbarred. Great Tax and Financial Services Start Here!